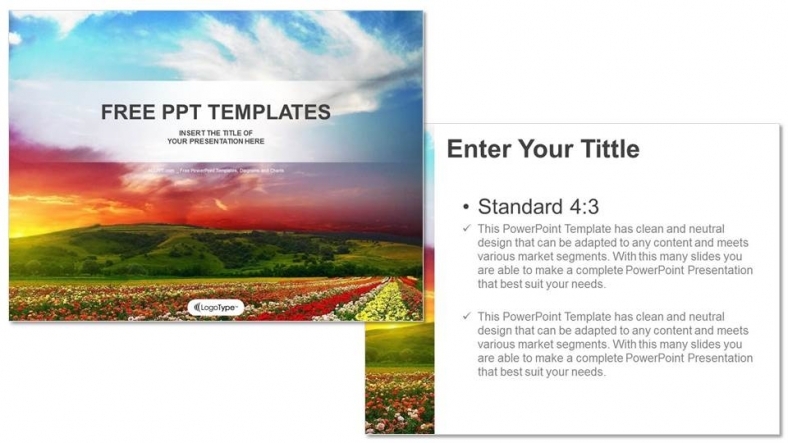 Colorful Powerpoint Templates Free Download is a colorful nature with flowers presentation template. 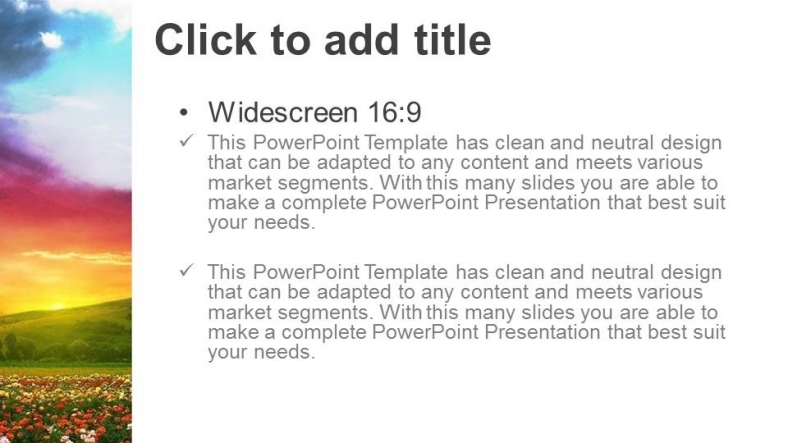 It is one of our wonderful Premium collection, it is free and regulated for personal or professional Presentations. Features : Premium Clean and light TemplateAll Icon and Content 100% are Editable Fully Animated and Non-Animated Easy to Change Picture No photoshop Required!